How can boosting bacteria in your body improve your brain health? Called the “second brain” by leading scientists, a healthy balance of flora in the gut helps to determine whether you’ll have a great memory and a strong resistance to brain disease. And what happens in the gut plays a significant role in your brain health. Restoring beneficial bacteria and some healthy yeasts in your intestines (yes, some yeasts are beneficial, just not the ones that cause yeast infections) can go a long way toward protecting your mental faculties and preventing brain diseases altogether. Frequently when I tell people about this connection between intestinal and brain health—what is known as the gut-brain axis, they tell me that they are covered because they eat yogurt on a regular basis. While yogurt may (or may not) help boost intestinal flora depending on whether it contains any live cultures at all, we need to give our guts a lot more than yogurt to help us establish a strong and healthy brain for life. Let’s explore some of the exciting research into the link between beneficial microbes in our gut and our overall brain health. Some probiotics actually function as antioxidants within the body, which can not only reduce the effects of free radical damage and aging, it is especially good news in the prevention and treatment of brain diseases. That’s because the brain is vulnerable to free radical damage. Additionally, research at the University of California at Los Angeles (UCLA) found that consuming certain strains of probiotics could actually produce many brain health benefits, including improved sensory and emotional processing. Since the brain plays a significant role in whether we suffer from mental health conditions like anxiety and depression, probiotics may also be helpful in addressing these serious health concerns. In animal studies conducted by the Department of Medicine at McMaster University, Hamilton, Ontario, Canada, and published in the medical journal Gastroenterology, the probiotic Bifidobacterium longum eliminated anxiety and normalized behavior. It appeared to work by reducing the excitability of the nerves in the gut that connect through the vagus nerve to the central nervous system, and in doing so, eliminated anxiety. Hungarian researchers found that intestinal inflammation is one of the key factors involved in depression and that treating the inflammation with probiotics (along with B complex vitamins, vitamin D, and omega 3 fatty acids) reduced depressive symptoms. Additional French research demonstrates the power of boosting specific strains of probiotics to boost mood and psychological health. They found that healthy study participants experienced reduced psychological stress, depression, anxiety, and anger and hostility, as well as improved problem-solving skills when taking the Lactobacillus helveticus and Bifidobacterium longum for 30 days. While you can still enjoy yogurt if you are already doing so, please keep in mind that the above strains are not typically found in yogurt. I’m not aware of any yogurt that contains the best brain-boosting strains. Take a probiotic supplement containing proven strains of brain-boosting probiotics such as Lactobacillus plantarum, Bifidobacterium longum, and Lactobacillus helveticus on a daily basis. Store your probiotics in the refrigerator, and take them on an empty stomach. First thing in the morning with a large glass of water tends to work well for most people. Additionally, kimchi—the national dish of Korea which is typically a fermented mixture of cabbage, chilis, and garlic—frequently contains a much more diverse group of beneficial microbes than yogurt, making it an excellent choice as a brain boosting food. Some types contain fish sauce so if you’re vegan be sure to choose a fish sauce-free option. It is delicious on sandwiches, over brown rice, or as a side-dish to many foods. Be sure to choose kimchi that hasn’t been pasteurized to ensure the cultures are still intact. Categories: brain, inflammation, probiotics | Tags: anxiety, brain, depression, diet, gut, inflammation, probiotics, supplements | Permalink. It is becoming increasingly clear that chronic inflammation is the root cause of many serious illnesses – including heart disease, many cancers, and Alzheimer’s disease. We all know inflammation on the surface of the body as local redness, heat, swelling and pain. It is the cornerstone of the body’s healing response, bringing more nourishment and more immune activity to a site of injury or infection. But when inflammation persists or serves no purpose, it damages the body and causes illness. Stress, lack of exercise, genetic predisposition, and exposure to toxins (like secondhand tobacco smoke) can all contribute to such chronic inflammation, but dietary choices play a big role as well. Learning how specific foods influence the inflammatory process is the best strategy for containing it and reducing long-term disease risks. The Anti-Inflammatory Diet is not a diet in the popular sense – it is not intended as a weight-loss program (although people can and do lose weight on it), nor is the Anti-Inflammatory Diet an eating plan to stay on for a limited period of time. Rather, it is way of selecting and preparing anti-inflammatory foods based on scientific knowledge of how they can help your body maintain optimum health. Along with influencing inflammation, this natural anti-inflammatory diet will provide steady energy and ample vitamins, minerals, essential fatty acids dietary fiber, and protective phytonutrients. On a 2,000-calorie-a-day diet, 600 calories can come from fat – that is, about 67 grams. This should be in a ratio of 1:2:1 of saturated to monounsaturated to polyunsaturated fat. Dr. Weil’s Anti-Inflammatory Diet Courtesy of Dr. Weil on Healthy Aging, Your Online Guide to the Anti-Inflammatory Diet. Categories: diet, inflammation | Tags: anti-inflammatory, diet, inflammation | Permalink. What to eat to reduce inflammation and feel better. On one hand, it helps your body defend itself from infection and injury. But on the other hand, chronic inflammation can lead to weight gain and disease. Stress, unhealthy inflammatory foods and low activity levels can make this risk even worse. However, some foods can actually help fight inflammation. Here is a list of 13 anti-inflammatory foods that are supported by science. Berries contain antioxidants called anthocyanins. These compounds have anti-inflammatory effects that may reduce the risk of disease. Your body produces natural killer cells (NK), which help keep your immune system functioning properly. One study found that men who consumed blueberries every day produced significantly more NK cells, compared to men who did not. In another study, overweight men and women who ate strawberries had lower levels of certain inflammatory markers associated with heart disease. Bottom Line: Berries contain antioxidants known as anthocyanins. These compounds may reduce inflammation, boost immunity and reduce the risk of heart disease. Fatty fish are a great source of protein and the long-chain omega-3 fatty acids, EPA and DHA. EPA and DHA reduce inflammation that can lead to metabolic syndrome, heart disease, diabetes and kidney disease, among others. This occurs after your body metabolizes these fatty acids into compounds calledresolvins and protectins, which have anti-inflammatory effects. In clinical studies, people consuming salmon or EPA and DHA supplements had decreases in the inflammatory marker C-reactive protein (CRP). However, in another study, patients with atrial fibrillation who took EPA and DHA daily showed no difference in inflammatory markers when compared to those who received a placebo. Bottom Line: Fatty fish contain high amounts of the omega-3 fatty acids EPA and DHA, which have anti-inflammatory effects. Research has shown that eating a lot of cruciferous vegetables is associated with a decreased risk of heart disease and cancer. Broccoli is rich in sulforaphane, an antioxidant that fights inflammation by reducing your levels of cytokines and NF-kB, which drive inflammation. Bottom Line: Broccoli is one of the best sources of sulforaphane, an antioxidant with powerful anti-inflammatory effects. They’re packed with potassium, magnesium, fiberand heart-healthy monounsaturated fats. They also contain carotenoids and tocopherols, which are linked to reduced cancer risk. In addition, one compound in avocados has been shown to reduce inflammation in young skin cells. In one study, when people consumed a slice of avocado with a hamburger, they showed lower levels of inflammatory markers NF-kB and IL-6 than participants who ate the hamburger alone (23). Bottom Line: Avocados contain various beneficial compounds that protect against inflammation and may reduce the risk of cancer. It’s been shown to reduce the risk of heart disease, cancer, Alzheimer’s disease, obesity and other conditions. EGCG inhibits inflammation by reducing pro-inflammatory cytokine production and damage to the fatty acids in your cells. Bottom Line: Green tea’s high EGCG content reduces inflammation and protects cells from damage that can lead to disease. Bell peppers and chili peppers are loaded with vitamin C and antioxidants that have powerful anti-inflammatory effects. Bell peppers contain the antioxidant quercetin, which has been shown to reduce one marker of oxidative damage in people with sarcoidosis. Chili peppers contain sinapic acid and ferulic acid, which may reduce inflammation and lead to healthier aging. Bottom Line: Chili peppers and bell peppers are rich in quercetin, sinapic acid, ferulic acid and other antioxidants with strong anti-inflammatory effects. Mushrooms are an incredibly healthy type of fungus, and thousands of varieties exist throughout the world. They’re very low in calories and rich in all of the B vitamins, selenium and copper. Mushrooms also contain lectins, phenols and other substances that provide anti-inflammatory protection. A special type of mushroom called Lion’s Mane may potentially reduce the low-grade inflammation seen in obesity. However, one study found cooking mushrooms decreased a large portion of their anti-inflammatory compounds, so it may be best to consume them raw or lightly cooked (38). Bottom Line: Mushrooms contain several compounds that may decrease inflammation. Consuming them raw or lightly cooked may help you reap their full anti-inflammatory potential. Grapes contain anthocyanins, which reduce inflammation. They may also decrease the risk of several diseases, including heart disease, diabetes, obesity, Alzheimer’s disease and eye disorders. Grapes are also one of the best sources of resveratrol, another compound that has many health benefits. In one study, people with heart disease who consumed grape extract daily experienced a decrease in inflammatory gene markers, including NF-kB. Also, their levels of adiponectin increased, which is a good thing because low levels are associated with weight gain and an increased risk of cancer. Bottom Line: Several plant compounds in grapes, including resveratrol, can reduce inflammation. They may also reduce the risk of several diseases. Turmeric is a spice with a strong, earthy flavor that’s often used in curries and other types of Indian dishes. It has received a lot of attention for its content of the powerful anti-inflammatory nutrient curcumin. Turmeric is effective at reducing the inflammation related to arthritis, diabetes and other diseases. When people with metabolic syndrome took 1 gram of curcumin daily, they experienced a significant decrease in CRP when compared to placebo. However, it may be hard to get enough curcumin to have a noticeable effect from turmeric alone. In one study, overweight women who took 2.8 grams of turmeric per day had no improvement in inflammatory markers. Eating black pepper along with turmeric enhances the effects. Black pepper containspiperine, which can boost curcumin absorption by 2,000%. Bottom Line: Turmeric contains a powerful anti-inflammatory compound called curcumin. Eating black pepper with turmeric can significantly enhance the absorption of curcumin. Extra virgin olive oil is one of the healthiest fats you can eat. It’s rich in monounsaturated fats and a staple in the Mediterranean diet, which provides numerous health benefits. Many studies have analyzed olive oil’s anti-inflammatory properties. It’s been linked to a reduced risk of heart disease, brain cancer and other serious health conditions. In one Mediterranean diet study, CRP and several other inflammatory markers significantly decreased in those who consumed 1.7 oz (50 ml) of olive oil daily. However, it’s important to note the type of olive oil. Anti-inflammatory benefits are much greater in extra-virgin olive oil than in refined olive oil. Bottom Line: Extra-virgin olive oil provides powerful anti-inflammatory benefits, which may reduce the risk of heart disease, cancer and other serious health conditions. Dark chocolate is delicious, rich and satisfying. It’s also packed with antioxidants that reduce inflammation. These may also reduce the risk of disease and lead to healthier aging. Flavanols are responsible for chocolate’s anti-inflammatory effects, and also keep the endothelial cells that line your arteries healthy. In one study, smokers showed significant improvement in endothelial function two hours after eating high-flavonol chocolate. However, make sure to choose dark chocolate that contains at least 70% cocoa (more is even better) in order to reap the anti-inflammatory benefits. Bottom Line: Flavanols in dark chocolate and cocoa can reduce inflammation. They may also reduce the risk of several disease. The tomato is a nutritional powerhouse. Tomatoes are high in vitamin C, potassium andlycopene, an antioxidant with impressive anti-inflammatory properties. Lycopene may be particularly beneficial for reducing pro-inflammatory compounds related to several types of cancer. One study found that drinking tomato juice significantly decreased inflammatory markers in overweight women. However, these markers did not decrease in obese women. In a review of studies analyzing different forms of lycopene, researchers found that tomatoes and tomato products reduced inflammation more than lycopene supplements. Lastly, it’s interesting to note that cooking tomatoes in olive oil can maximize the amount of lycopene you absorb. Bottom Line: Tomatoes are an excellent source of lycopene, which can reduce inflammation and protect against cancer. Cherries are delicious and rich in antioxidants, such as anthocyanins and catechins, which fight inflammation. Although the health-promoting properties of tart cherries have been studied more, sweet cherries also provide benefits. In one study, when people consumed 280 grams of cherries per day for one month, their CRP levels decreased and remained that way for 28 days after they stopped eating cherries. Bottom Line: Sweet and tart cherries contain antioxidants that reduce inflammation and the risk of disease. Even low levels of inflammation on a chronic basis can lead to disease. Do your best to keep inflammation in check by choosing a wide variety of these delicious, antioxidant-rich foods. P.S. If you are looking for the foods to avoid to reduce inflammation, then read this:Top 6 Foods and Ingredients That Cause Inflammation. Franziska Spritzler has a BSc in nutrition and dietetics. She is a Registered Dietitian and Certified Diabetes Educator with expertise in carbohydrate-restricted diets for diabetes and weight management. Categories: inflammation | Tags: anti-inflammatory, berries, broccoli, cherries, chocolate, cocoa, fish, grapes, green tea, inflammation, mushrooms, olive oil, tomatoes, turmeric | Permalink. There’s good news: many foods are naturally anti-inflammatory. Antioxidants found in foods protect your cells from the effects of free radicals and can help reduce an overabundance of inflammation in your body. 1. Beets, with their wonderful red color, are a powerful antioxidant and anti-inflammatory. Beets can boost your energy and lower your blood pressure. A single serving of 500 ml. beetroot juice has been shown to reduce blood pressure by 10.4/8 mm. Beets are high in nitrates; this study showed that a serving of beetroot juice boosted athletic performance by 1-3 percent. 2. Blueberries have been found to reduce inflammation in many studies on animals; there are yet to be more studies done on humans. Studies do indicate that blueberries are good for brain health. It is best to eat organic berries since pesticides on berries are hard to wash away due to their size. 3. Broccoli is loaded with detoxifying antioxidants. Broccoli is a particularly rich source of kaempferol and isothiocyanates, both anti-inflammatory phytonutrients. Research has shown the ability of kaempferol to lessen the impact of allergy-related substances on our body. Broccoli even has a significant amount of omega 3 fatty acids, which is a well known anti-inflammatory. 4. Flaxseed oil has a balance of omega 3 and 6 fatty acids. The omega 3 fatty acids reduce inflammation. Research studies show lignans can slow the growth of prostate cancer cells. It was also found that lignans may play an important role in increasing breast cancer survival. Three studies following thousands of women diagnosed with breast cancer were published at PubMed Central®. 5. 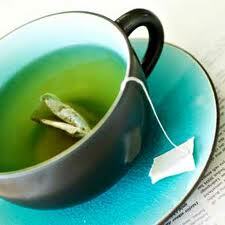 Green Tea contains many anti-inflammatory flavonoids. A 2002 study found the most abundant catechin of green tea (epigallocatechin-3-gallate) to be a potent anti-inflammatory compound with therapeutic potential. The antioxidant properties of green tea are so effective that studies have shown a 22 percent reduced risk of developing breast cancer, a 48 percent reduced risk of prostate cancer and an amazing 57 percent reduced risk of colorectal cancer. 6. Garlic can help reduce inflammation. At Washington State University they found garlic to be 100 times more effective than two antibiotics at fighting the Campylobacter bacterium — one of the causes of intestinal illness. 7. Ginger: Ginger helps reduce inflammation and control blood sugar. Ginger tea is a great addition to any diet. A study published in the National Library of Medicine compared ginger extract to common pain killers and found ginger to be very effective in reducing pain. 8. Extra Virgin Olive Oil helps fight inflammation. Olive oil is full of polyphenols which protect the heart and blood vessels from inflammation. 9. Onions contain quercetin, a potent antioxidant that can help your body fight inflammation. Onions stimulate the respiratory tract and help expelling sputum (phlegm). The onion is also a proven antioxidant and may be helpful in treating certain cancers. To learn more about the supporting research done on onions, read: Journal of Chemical and Pharmaceutical Research. 10. Seaweed contains a complex carbohydrate called fucoidan that studies have shown to reduce inflammation. Seaweeds contain 14 times more calcium by weight than milk. Kelp, kombu, wakame and arame are good sources of seaweed. 11. Spinach is one of the highest nutrient-dense foods. It contains a unique mixture of phytonutrients, is high in antioxidants and anti-inflammatory components which help protect against cellular damage. 12. Turmeric has anti-inflammatory properties and has been shown to be more effective than anti-inflammatory drugs. Curcumin, the active ingredient in turmeric, targets multiple steps in the inflammatory pathway at the molecular level. Categories: inflammation | Tags: anti-inflammatory, beets, blueberries, broccoli, diet, flax, garlic, ginger, green tea, olive oil, onion, seaweed, spinach, turmeric | Permalink. Before getting to know what the top anti-inflammatory herbs are, it’s important to understand first what inflammation exactly is. Inflammation is a sign of the body’s attempt to protect itself from possibly harmful stimuli such as pathogens, fungi or viruses. For example, bacteria on a wound can result in redness and swelling, and this means that the body is working to fight the infection, and start the process of healing. Other possible causes of inflammation include: external injuries such as cuts, scrapes, or foreign objects entering the body (e.g. wood splinter in your finger), trauma, burn, chemical irritants, radiation, and certain diseases or medical conditions like bronchitis, dermatitis, and otitis media for example. There are two types of inflammation: acute and chronic. Acute inflammation is an immediate and temporary response of the body that lasts for a few hours to several days. If the underlying cause isn’t resolved, inflammation may turn into a chronic and longer phase. Redness, swelling, pain, and heat are the common signs. There may also be loss of function when the affected area of the body can no longer move or function. Inflammation may or may not be helpful. In some cases, the immune system ends up fighting its own cells like rheumatoid arthritis, psoriasis, and ulcerative colitis, among many others. Whatever it is that’s causing inflammation, it’s best to get to the bottom of it to resolve the issue. One thing that you’ll find helpful in fighting inflammation is the use of anti-inflammatory herbs. You’d think that herbs are merely cooking add-ons that can spice up and bring out the flavor in dishes. That’s not all. Some can also work to help resolve health problems like inflammation and infection. Below, you’ll find the top 20 herbs that have become popular in this purpose. A popular spice used in Asian and Middle Eastern cuisine, turmeric contains a potent substance called curcumin, which is effective in curbing swelling and alleviating symptoms common in osteoarthritis and rheumatoid arthritis. Scientific Research: According to experts, the anti-inflammatory powers of turmeric can be compared with those of well-known medications like Motrin and hydrocortisone but without the side effects. In one study from the Oregon State University Linus Pauling Institute, it was found that patients suffering from rheumatoid arthritis who used turmeric supplementation for two weeks experienced vast improvement in morning stiffness and joint swelling. Another study revealed that the pain in post-operative patients was significantly reduced after taking turmeric supplements. Because of these findings, turmeric has been used for various inflammatory disorders including tendonitis, arthritis, and auto immune conditions. Warnings: Turmeric should not be used by pregnant women and people who have gallstones or problems with their bile duct without first consulting their medical practitioner. Very rarely, long-term use of turmeric can cause stomach upset or heartburn. Another widely used herb in Asia known for its strong flavor and aroma, ginger is used in a myriad of dishes, and also in tea. It has long been used in India for its anti-inflammatory qualities of relieving pain and inflammation. It’s also a remedy for cold, flu, headaches, and menstrual cramps. Scientific Research: A study performed at the Odense University in Denmark in 1992 showed that 75 percent of participants enjoyed relief in pain and other inflammatory symptoms after taking ginger supplements. A similar study published in the Journal of Medicinal Food in 2005 found that ginger has pharmacological properties that inhibit genes that trigger the inflammatory response. Warning: Side effects from using this herb are rarely reported but in high dosage, ginger can cause diarrhea, irritate the mouth, and trigger a mild heartburn. When people hear about licorice, the first thing on their minds is candy. This herb, which can also be used for adding flavor to any food and drinks like meat, vegetables, pastries, and tea, is another effective fighter against inflammation having a high amount of flavonoids. It’s not only anti-inflammatory, it’s also anti-depressant, anti-fungal, and anti-ulcer. It can also be used to treat viral infections, liver ailments, asthma, arthritis, and dental problems. Scientific Research: A 2008 study published in the Pharmacological Research supports the anti-inflammatory properties of licorice that were seen to treat acute inflammation in the participants. According to this research, the herb prevents inflammation by activating the NF-kappa B and STAT-3 pathways. Warning: Excessive consumption of this herb can cause difficulty in breathing, palpitation, and certain cardiovascular problems. Basil is a fragrant herb that’s commonly sprinkled on salads or added to pasta sauces. The rich aroma and flavor aren’t the only things to love about this herb. It’s been found that basil can inhibit the same enzyme blocked by other anti-inflammatory medications like Tylenol and Ibuprofen. Scientific Research: Several recent studies have shown the potential of basil as an anti-inflammatory herb. One example is a study published in the Journal of Microbiology Methods in 2003 that revealed that basil can effectively stop certain forms of bacteria that can cause inflammation. Warning: Basil is usually safe when consumed in foods. But an overdose can pose some risks, as it contains estragole, a chemical said to increase the risk of liver cancer. Boswellia, an herb that comes from the boswellia tree, is a common remedy for joint pain in Ayurvedic medicine. Scientific research: A 2005 study reported in DNA and Cell Biology supported the effectiveness of this herb in treating chronic inflammation. This works because the herb is able to destroy a type of cytokine that’s involved in chronic inflammation. Another 2005 study showed that boswellia has the ability to reduce cells that trigger inflammation. Warning: Rare side effects of taking this herb include stomach pain, diarrhea, skin rash, stomach discomfort and acid reflux. Cultivated in different parts of the world, rosemary has become a household name when it comes to perfecting culinary dishes. Apart from being a flavor enhancer, it also has powerful tonic and diaphoretic effects. And because of having a high content of flavonoids, it’s also efficient as an anti-inflammatory. Scientific Research: Two separate studies illustrate that the use of rosemary extracts can protect cellular membranes from inflammatory actions. Warning: Too much of this herb can interfere with the absorption of iron. Although it doesn’t directly cause iron-deficiency anemia, it can worsen pre-existing conditions. This herb is not recommended for pregnant and lactating women. A kitchen staple that your trip to the supermarket won’t be complete without, garlic is yet another potent anti-inflammatory herb that can treat various ailments including sinus infection, common cold, and hypertension, among others. Garlic works in a way similar to penicillin. It fights inflammation by altering the inflammation-causing cytokines. Scientific research: A study on garlic extract presented at the 2012 American Heart Association (AHA)’s Scientific Session conference showed that there was a significant decrease in inflammation among the participants who took garlic supplements. Warning: Although it’s generally safe, garlic can possibly cause heartburn, gas, nausea, bad breath, and diarrhea. Cayenne packs a whopping punch with its spicy flavor. This herb, which is rich in calcium, potassium, B complex and vitamin C, can aid in the treatment of various inflammatory disorders such as arthritis. The active ingredient in cayenne is called capsaicin. It decreases inflammation by inhibiting Substance P, a neuropeptide that’s involved in the body’s inflammatory response. Scientific research: Studies reported by the Memorial Sloan-Kettering Cancer Center show that cayenne has anti-inflammatory activities that can help in the treatment of certain forms of cancer including leukemia. Warning: As it may interfere with certain medications, it’s a must to consult your doctor first before using any cayenne supplement. Who doesn’t love cinnamon? Added in coffee, cakes, brownies and pastries, cinnamon does more than enhance flavor and aroma. It also works wonders for the health. One is by reducing the body’s inflammatory responses. Scientific research: Laboratory studies on animals show that cinnamon is indeed effective in fighting bacteria and reducing inflammation. Warning: Usually, this herb doesn’t have any side effects. But in rare cases, it can cause mouth irritation. Taken in extremely large doses, it can cause liver ailments. 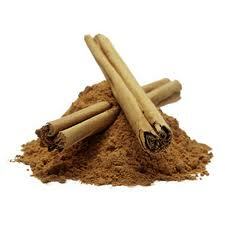 People taking antibiotics, blood thinners, heart medications, and drugs for diabetes are not advised to take cinnamon supplements. Parsley is packed with vital nutrients like vitamin A, B complex, vitamin C and vitamin K. Apart from effectively treating digestive disorders and kidney ailments, this herb can also treat inflammatory problems, and prevent inflammation with its roster of immune system-boosting nutrients. Scientific Research: According to the findings of a study published in Phytotherapy Research in 2008, both parsley and asparagus can effectively tone down inflammation. This is due to their ability to destroy free radicals that bring inflammation as well as cellular damage. Prior to this study, in 2002, a study published in the Journal of Natural Remedies illustrated that the active components in this herb, namely the tannis, triterpenes, and flavonoids had substantial anti-inflammatory effects in animals. Warning: Over consumption of parsley can cause headaches, kidney damage, and convulsions. Juice, seeds, and oils made from this herb should not be consumed by pregnant women as they’ve been associated with contractions of the uterus and miscarriage. The powers of this herb can be compared to that of NSAID drugs like ibuprofen. Guggul has long been used as a detoxifying ingredient in Ayurvedic medicine. Scientific Research: A clinical study involving 30 patients suffering from knee osteoarthritis showed that guggul supplementation resulted in improvement of the condition after a two-month period. Warning: Because of its blood-thinning properties, this herb must not be used with other platelet aggregation-reducing medications. In India, neem is famous as the “divine tree” and it’s not a surprise why. Neem leaf and seed extracts are known for their antibacterial, anti-viral, anti-fungal and of course, anti-inflammatory properties. Scientific Research: The use of neem for fighting inflammation has been illustrated in various studies. In one study, neem leaves were proven to block the prostaglandin mechanism, which causes pain. It also showed that this herb can alleviate inflammation among patients with acute paw edema. Warning: Neem is generally safe but extremely large doses can pose risks to kidneys and liver. Neem bark and oil are not safe for consumption for pregnant women. Aloe vera is the go-to herb for treating skin burns and wounds. Now, we get to know more about its anti-inflammatory properties that also work inside the body. That’s because it has a cooling effect on the digestive tract, making it helpful for people with peptic ulcers and other inflammatory disorders. Scientific Research: In one of the many studies done on aloe vera, one showed that its anti-inflammatory effects are even more powerful than a one-percent hydrocortisone cream. According to the researchers, aloe vera gel can effectively treat inflammatory skin conditions like the ultraviolet induced erythema. Warning: Since aloe vera is a potent laxative, it should be taken with caution. Consult your doctor first before taking an aloe vera supplement especially if you’re expecting. Derived from the saw palmetto fan palm, a plant native to the southern part of the United States, this one is an amazing herb that can treat a wide array of health conditions including urinary tract inflammation and testicular inflammation. It does many other things too like stimulate the appetite, boost the metabolism, aid in digestion, and empower the thyroid gland. Scientific research: Numerous clinical studies have been done on saw palmetto since the 1960s. In a review of 24 of these trials, as published in the Journal of American Medical Association in 1998, it showed that among the 3,000 men who took saw palmetto and placebo, those who ingested the actual herb experienced almost 30 percent improvement in symptoms of urinary tract inflammation. Warning: Possible side effects of saw palmetto include dizziness, nausea, headaches, vomiting, constipation, diarrhea, lower libido, gas, and loss of appetite. Ashwagandha, an herb that’s commonly grown and used in Pakistan, India, Africa, and Spain, has a long list of medicinal uses—anti-stress, aphrodisiac, immune function booster, and many others. But let’s focus on its anti-inflammatory activity. Scientific Research: Among the many bodies of research done on this herb, one study demonstrated that its anti-inflammatory properties were at par with a hydrocortisone cream with 5 mg/kg dosage. Another study showed that among five plants evaluated for fighting inflammation, findings pointed to Ashwagandha as the one with the highest capability. Warning: Use of this herb may possibly bring some side effects like nausea, drowsiness, flatulence, irritation of the gastrointestinal system, diarrhea, vomiting, and lowering of the blood sugar level, particularly for diabetics. Most herbs can be taken orally. But arnica is different. This perennial herb that can be found in Canada, northern United States, eastern Asia, and in some parts of Europe can only be applied topically. It’s widely used for alleviating inflammation, treating bruises, and sprains, and many others. Scientific Research: Although no concrete evidence has been found to support this herb’s true efficacy in fighting inflammation, several laboratory studies show that arnica has the ability to inhibit the activity of some types of immune system cells, and this can be helpful for people with inflammation problems. Warning: Internal use is not recommended as this may cause diarrhea, vomiting, internal bleeding, muscle weakness, rapid heart rate, nosebleeds, and even comatose. Used in India, Indonesia, Sri Lanka, South Africa and Madagascar, Gotu Kola is known for its wound healing properties and for treating an array of ailments including varicose ulcers, lupus and eczema. This slender plant with fan shaped leaves is also said to aid in meditation, helping a person develop an energy center at the top of the head. Scientific Research: Some studies released since 1995 showed that this herb can destroy cultured tumor cells inside the laboratory. Findings point out that Gotu Kola is capable of treating inflammatory diseases of the skin. Warning: Too much use of this herb can cause some side effects like nausea, stomach upset, drowsiness, and itching. For many years, slippery elm has been used in North America for healing boils, burns, wounds, and skin inflammation. Taken orally, it was found to relieve common health complaints like upset stomach, cough, sore throat and diarrhea. Scientific Research: One of the latest studies done on this herb was by a British group, published in 2002 in the Alimentary Pharmacology and Therapeutics. It probed the ability of this herb to reduce inflammation of the intestine, particularly for diseases like Crohn’s disease and ulcerative colitis. A similar study, this time by a Korean team of researchers, published in Phytotherapy, echoed these findings. Warning: There is no known danger linked to the use of this herb. But some experts say it can obstruct bowel movement, and should therefore be taken with caution. Native to India, nutmeg has been utilized for its medicinal properties since the 16th century. Among its long list of health benefits is its ability to destroy pathogens that cause diseases. Dr. Joseph Pizzorno and Dr. Michael Murray, authors of The Encyclopedia of Healing Foods explain that nutmeg can effectively block more than 25 bacteria species. Nutmeg oil is used as topical ointment for soothing painful muscles and joints. Scientific Research: In 2009, a team of researchers from the University of Mississippi found that nutmeg can substantially relieve pain in mice by sedating the nervous system. Warning: Caution should be taken when using nutmeg supplements. Overdose can cause delirium, hallucination, and other mental problems. Last but not the least, we have the black pepper. There’s more to this spice than just being salt’s flavoring partner. As the most common culinary spice in the world, it’s one thing that can’t go missing in anyone’s kitchen. It has also been recognized for its anti-inflammatory activities. Scientific Research: A recent research study investigated how the compounds in black pepper can inhibit the body’s inflammatory response. These compounds include NF-kappaB, COX-1 and -2 enzymes. Warning: Black pepper is generally safe. But it’s not advisable to apply it on the skin or allow it to get into the eyes, as it causes redness and burning sensation. All these herbs are backed by scientific research to be effective in curbing the annoying problems of inflammation. But as there are some possible side effects, it’s a must to consult a health practitioner first before using any of these. Categories: inflammation | Tags: anti-inflammatory, diet, herbs, inflammation, spices | Permalink. Ginger, nuts, fatty fish and whole grains are just some of the many foods that have been touted to have anti-inflammatory properties. But do they work? It turns out that experts agree that eating a diet rich in such foods may in fact help lower the levels of inflammation in the body. But they stress that adding or increasing the consumption of any one food is likely not going to have a profound effect on one’s health. In a new, small study, published this month in the Nutrition Journal, researchers found that men who consumed flaxseed for 42 days experienced a significant decrease in inflammatory markers compared with men who didn’t consume flaxseed. In another study, published in October 2011 in the journal Cancer Prevention Research, the authors found that taking ginger root extract appeared to reduce markers of colon inflammation. And, according to the results of a study published in August 2011 in the Journal of Biological Chemistry, curcumin (the main compound in the spice turmeric, which is used in curry) could help suppress biological mechanisms that lead to the inflammation in diseases of the tendons. Rheumatoid arthritis, cardiovascular disease and diabetes are some of the conditions that have been linked with higher levels of inflammation. However, Kirkpatrick stressed that adding just one specific food to your diet is unlikely to work wonders for lowering inflammation, or for improving health in general. “If you follow a very sound diet that has plenty of produce, plenty of plant-based foods like nuts and whole grains — that really helps in general to reduce overall inflammation throughout the entire body,” Kirkpatrick told Live Science. And the reduction in inflammation that can come from a changing your diet can be very significant, but it only works if you eat such foods across the board. Kirkpatrick also stressed that people who take dietary supplements don’t get the same results as those who consume real foods that have anti-inflammatory properties. “So it is not just about adding these things in, it is also about taking pro-inflammatory foods out,” Kirkpatrick said. Dr. Monica Aggarwal, a cardiologist and a member of the Heart Center at Mercy Medical Center in Baltimore, agreed. “There is a lot of data that suggests that we are eating too many inflammatory foods,” such as meat, eggs, dairy and processed foods that are high in preservatives, she told Live Science. So, if you start eating a diet full of foods with possible anti-inflammatory compounds, and low in those with pro-inflammatory effects, can you expect to see a general improvement in your inflammation levels? “I think it depends on what you were eating before — if you were eating the DASH diet, possibly not, but if you were eating the typical American diet before, which is so low in fruit and vegetables, definitely,” said Julie Wylie-Rosett, a professor in the department of epidemiology and population health and the department of medicine at Albert Einstein College of Medicine of Yeshiva University in New York. It is still not clear, however, how an actual anti-inflammatory diet compares with taking an anti-inflammatory medication regularly, she said.”I don’t think there has ever been a head-to-head comparison of an anti-inflammatory dietary pattern versus the use of drugs,” Wylie-Rosett told Live Science. “Food is medicine, but it is hard to compare medicine that is created in a lab with something that is grown in the ground to determine what is going to be beneficial,” Kirkpatrick said. Depending on a person’s condition, and the reasons for their inflammation, medication may be necessary, while food can be still be a nice add-on. Categories: inflammation | Tags: anti-inflammatory, diet, inflammation | Permalink. Inflammation can be caused many different factors. Scientifically speaking inflammation is a cascade of chemical reactions that happen within the body when there is damage done to cells, when there is an irritant present or when the body senses a foreign invader. What Are The Symptoms Of Acute Inflammation? The inflammation reaction is necessary and protective for the body in the short-term. Acute inflammation can leave you with the following cluster of symptoms: pain, redness, immobility, swelling and heat. This is due to the fact that large amounts of both red and white blood cells, lipoproteins, fluid and other body tissues are rushing to the site of injury in an attempt to repair damage and clear away foreign particles. So What Is The Problem With Inflammation? The problem with inflammation comes when it is prolonged or becomes chronic. It is meant to be a “first response” reaction that dies down allowing other healing processes to take over. When inflammation lasts longer than the initial healing phase, we start to see issues like lowered immunity, degenerative diseases and possibly even diseases like cancer. Inflammation is not something that you want to take lightly as it can cause serious long-term damage if it’s not taken care of. Chronic inflammation can be localized, as well as systemic. Some examples of localized inflammation are arthritis in a specific joint, cirrhosis of the liver and inflammatory bowel disease. Systematic inflammation can be seen in autoimmune diseases like chrones disease, celiac disease and in some cardiovascular diseases. Fortunately there are so many awesome natural ways to reduce inflammation in your body. 1. Turmeric: Turmeric is a bright orange root that contains a compound called curcumin. Curcumin works to protect the liver from cellular damage by acting as an antioxidant and protecting cells from free radical damage. It also lowers histamine levels in the body which helps to reduce inflammation. 2. Ginger: Ginger contains four active ingredients which lend to its powerful anti-inflammatory and pain killing powers. Gingerols, paradols, shogaols and zingerone all work together to reduce pain-inducing prostaglandins in the body. 3. Cayenne: This one may seem counter intuitive, but the heat of cayenne pepper actually reduces the heat of inflammation in the body when it is ingested. Cayenne and other hot peppers contain a compound called capsaisin, which will block the COX-2 enzyme which contributes to the inflammation processes associated with arthritis and other inflammatory diseases. 4. Basil: Basil is an awesome herb to help fight inflammation. Eugenol is the compound in basil which gives it its distinctive taste and smell, as well as its inflammation reducing properties. 5. White Willow Bark: White willow bark is a very special bark that contains a compound called salicin which is similar to the compound called acetylsalicylic acid – which is commonly known as Aspirin. The pain relieving and anti-inflammatory effects of white willow bark are actually longer lasting than those of Aspirin. White willow also has the same blood thinning effects that you will find when taking Aspirin. White willow will also work to inhibit the pro-inflammatory pathways in your body. 6. Oregano: Oregano contains polyphenols and bioflavanoids, which are both compounds that help to fight free radical production and damage within the body. The fewer free radicals you have acting on your cells, the less inflammation you will have overall. 7. Garlic: Garlic contains several sulphur compounds which lend it its inflammation reducing properties. These compounds are also known to help fight off cancer, reduce your risk of heart attack and have anti-microbial properties. 8. Omega 3 Fatty Acid Rich Foods: These are your number one go to foods for beating inflammation. Omega 3 rich foods stop the inflammatory process in its tracks by blocking the prostaglandin pathways that produce inflammation and supporting the prostaglandin pathways that reduce inflammation. These essential fats are a life saver for those who deal with inflammation. Adding more omega 3 rich foods to your diet in the form of hemp seeds, chia seeds, avocados, olives and walnuts will help you to benefit from these super nutrient dense foods. 9. Leafy Green Vegetables: Leafy green veggies are filled with a compound known as chlorophyll, which has an incredible alkalizing effect on the body. This alkalizing action can help to dramatically reduce inflammation in the body when consumed on a regular basis. Some excellent greens to try are bok choy, green leaf lettuce, red leaf lettuce, romaine, spinach, swiss chard and kale. Be sure to cycle your greens for best results. If you have sensitive digestion, choose the softer greens like lettuces more often. 10. Dark Green Veggies: Veggies that have a green pigment will have alkalizing and therefore anti-inflammatory effect on the body. Cucumber, broccoli, celery and zucchini are all wonderful additions to any diet if you are looking for a way to help calm an inflamed body. These veggies should be eaten raw, in juice or smoothie form, or lightly steamed in order to capitalize on their inflammation busting effects. 11. Seaweeds: Seaweeds are some of the most nutrient dense plant foods on the planet. Rich in alkaline minerals sea veggies not only help to alkalize the body and reduce inflammation, they also work to pull toxins out of the body, balance hormones and protect you from radiation. 12. Berries: Berries are some of the most antioxidant rich foods on the planet. These little nutritional powerhouses work overtime to protect your body from free radical damage, which can help to reduce inflammation and pain. Blackberries, cherries, raspberries, strawberries, cranberries, blueberries and pomegranates will all help to fight inflammation in your system. 13. 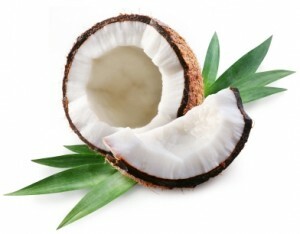 Coconut/Coconut oil: The medium chain triglycerides found in coconut and coconut oil are what gives this super food its anti-inflammatory powers. Caprilic and lauric acid (both medium chain triglycerides) are anti-microbial and help reduce inflammation. This is especially good news if you suffer from acne. Acne is an infection of the pores, which means that there is a need for both the anti-microbial and inflammation reducing components of coconut. Coconut oil can be used both internally and topically to help reduce inflammation, depending on where it is manifesting in your body. 14. Asian Mushrooms: Mushrooms are powerhouse foods that help to beat inflammation by boosting the immune system. This immune boost helps to slow down cell damage and thus reduces the need for inflammatory activity. Shiitake, maitake, oyster, lobster and Portobello mushrooms are all great choices. Medicinal mushrooms like reishi will have other health enhancing effects on top of their anti-inflammatory power. 15. Pineapple: Pineapple can save you from inflammation due to a compound in its core called bromelain. This is an enzyme that works to reduce inflammation in the body as well as helping the body to digest food more efficiently. 16. Apples: Apple skins contain a compound known as quercetin, which is a natural antihistamine. This compound will work in your body to fight off environmental allergies, helping reduce any inflammation that may be caused as a result. 17. Spirulina: Spirulina is a blue-green algae that is super rich in chlorophyll, minerals and easy to digest amino acids. All of this comes together to make spirulina an inflammation reducing super star. You can also load up on greens by using a superfood blend by HealthForce Nutritionals called Vitamineral Greens. It’s a combination of Spirulina, Chlorella and other superfood green powders. Click here to check it out. 18. Papaya: Similar to pineapple, papaya contains an enzyme called papin that helps reduce inflammation in the body, especially in the digestive tract. Papaya is an excellent food to eat on a regular basis to help improve digestion. 19. Adequate Physical Activity: Regular physical activity will help reduce inflammation and pain pathways in the body and will also protect your heart, muscles and brain. Adequate movement on a regular basis can actually boost the immune system, which will help prevent disease, which can lead to cellular damage and inflammation. 20-30 minutes of light to moderate physical activity most days of the week is really all you need. 20. Adequate Sleep: Getting between 7-9 hours of sleep per night is crucial if you want to avoid long-term inflammation. Not getting enough sleep can result in chronic inflammation. Inflammatory cytokines are produced at a much higher rate in those who suffer from insomnia than in those that do not. Your body does the bulk of its healing work while you are asleep. 21. Adequate Hydration: Your body needs water to thrive as well as to survive. It is common to live in a constant state of mild dehydration, and this can lead to a multitude of issues, inflammation being one of them. Aim for at least 1-2 litres of fresh water every day, lemon water is extra alkalizing for the body. If you are active, nursing, pregnant you will need more. Drinking a litre of water or water with lemon juice first thing in the morning is one of the very best things you can do for your body overall, especially where inflammation is concerned. 22. Peace Of Mind: Stress in all its forms has a very powerful inflammatory effect on the body. Stress will activate your adrenal glands, which will excrete your stress hormones which are cortisol, adrenaline and noradrenaline. These hormones work wonders for you in cases where you need to fight or flee, but if you are in a state of constant stress, where your body is continually producing these hormones you will be causing lots of tissue damage and inflammation. When you are constantly producing stress hormones, cortisol specifically, your cells will start to lose their sensitivity which means that they will become less responsive to its action and this can lead to a runaway inflammatory process. You can also pick up a bottle of 1 Hour Break, a handy herbal spray that you can carry around in your bag with you. 1 Hour Break is a natural alternative to anti-anxiety and stress medications. They’ve combined Kava Kava, St. Johns Wort and a few other herbs known to reduce anxiety and stress. Use your special Young and Raw discount if you want to try a bottle for 60% off – use the discount code RAW60 when you click here to try it. 23. Deep Breathing: Breathing deeply is one of the fastest and easiest ways to help reduce inflammation in the body. When you breath deeply (also known as belly breathing) you activate your vagus nerve which stimulates the release of acetylcholine. This neurotransmitter works to turn off inflammatory processes in the body. 24. Stretching: Stretching is a wonderful way to help reduce inflammation. While you are stretching you can breathe deeply which will affect the positive chemical reactions stated in number 23. You will also be gently mobilizing stored toxins in your tissues, helping to release them into the bloodstream where they can be safely excreted from your body. There are a few things we suggest you avoid doing if you are looking to help reduce inflammation in your body. Here are our top 5 tips for things to avoid if you want to reduce inflammation in your body. 25. Too Many Omega 6 Fatty Acids vs. Omega 3 Fatty Acids: You need both Omega 3 and Omega 6 fatty acids in your diet for optimal health. The trick is to get the proper ratios of these fatty acids. Over consuming Omega 6 fatty acids will activate the over-expression of the COX-2 enzyme, which will stimulate inflammatory prostaglandin’s. This is an inflammatory process. Where as Omega 3 fatty acids stimulate the production of anti-inflammatory prostaglandins. These two fatty acids will compete for the same rate limiting enzymes, (meaning that only so many fatty acids can react with an enzyme to create an effect) which means if you have too many omega 6 fatty acids floating around in your bloodstream, you will be blocking the anti-inflammatory action of the Omega 3 fatty acids while simultaneously causing inflammation with the Omega 6 Fatty Acids. The Standard American Diet is spilling over with Omega 6 fatty acids. The ideal ratio of Omega 3:Omega 6 fatty acids in the body (and thus in the diet) is a 1:1 ratio, with even a 4:1, 5:1 ratio being healthy. Most people are consuming somewhere in the range of a 1:30 ratio, which can cause big problems. Foods that are rich in omega 6 fatty acids are processed vegetable oils like canola, corn, soy and peanut oil, poultry, eggs, and cereals. Now, remember this is not about eliminating Omega 6 fatty acids in your diet, but about balancing them with Omega 3 fatty acids. 26. Refined Carbohydrates: Refined carbohydrates like those found in processed flours, fast foods, cakes, cookies, pastries and breads will spike insulin levels in your body. When insulin levels are spiked, eicosanoids, which are hormones that live in your cells will act as pro-inflammatory compounds. These hormones can function as either a pro or anti-inflammatory compound and spiked insulin levels from refined carbohydrates cause them to be more pro-inflammatory than anti-inflammatory. 27. Processed Fats: Processed fats are hard on the body on many levels, especially so where inflammation is involved. Processed oils are denatured oils, meaning that they have been broken down and oxidized. This means they can become a source of free radicals in your body, causing free radical damage to your cells, which can lead to inflammation. Eating whole food fats in the form of nuts, seeds, avocado, coconut and even ghee which has a high smoke point is much better for your health and well-being than consuming processed plant and animal fats on a regular basis. 28. Gluten: Gluten is one of those substances that many people are unknowingly sensitive too. Recent studies have shown that many people’s bodies react to gluten as though it is a foreign invader, which activates the inflammatory response. This kind of reaction in the digestive tract can actually inhibit your ability to properly absorb nutrients. It may be an interesting experiment if you are someone who deals with inflammation to cut gluten out of your diet for a few weeks to see if it makes you feel better. 29. Conventional Dairy Products: Conventional dairy products can wreak havoc on the body. Conventional dairy is highly acidic for the body due to the hormones, antibiotics and other toxins that cows are fed and injected with. The milk itself is then heat-treated and loaded with other substances that cause it to become very acidic in the body. The acid-forming nature of milk, along with the other toxins present can cause significant inflammation in the body. Also there can be an allergic reaction similar to that which was described when eating gluten for anyone who has a full-blown sensitivity to lactose, which is estimated to be about 30% of the population. 75% of the population have a lowered lactose enzyme activity which may also result in the allergic reaction. 30. Over Exercising: This is the last point I want to make, as it is an important one. Just as not getting enough physical activity is hard on the body, too much can also be really hard on you. Keep in mind that physical activity creates free radical damage and breaks down your body tissues. Both of these things are going to cause some low levels of inflammation in the body as it tries to heal. When you give your body time to rest and recover between periods of physical activity then the overall effect is going to be one of reduced inflammation. If you do not give yourself adequate time to rest, repair and replenish, this type of inflammation can build up causing an inflamed state in the body overall. There is a such thing as over exercising, and it’s important to honour your bodies need to rest and repair. Ali is a Holistic Nutritionist. She came to the natural health field when she was 14, as a way of healing chronic stomach aches, skin issues, weight problems and hormonal imbalances. Years of doctors visits, specialist appointments and conventional medicine had never yielded results, so she tried looking for a natural solution. Going vegan in 2007, and 100% raw shortly after that, she was able to heal her body, and was inspired to share what had helped her so much with others. Ali completed her first diploma in Holistic Nutrition in 2008, Graduating from the Alive Academy. She completed her Hatha Yoga Teacher Training with YogaWorks in 2010, and is currently upgrading her studies at the Institute Of Holistic Nutrition, where she will soon graduate with her Ortho-Molecular Practitioner Designation. She believes that the body is fully capable of healing itself, so long as it is given all the tools to do so. Categories: inflammation | Tags: anti-inflammatory | Permalink.